Tangible history is always interesting to check out when doing genealogical research. By “tangible history”, I mean the street your great-grandparent’s lived on, the house your 3rd great-grandfather built, the land they worked, or even just going to the town ancestors lived in to see the same mountain tops in the distance that they saw every day. The access to this kind of history is vastly different depending on which side of my family I’m researching. 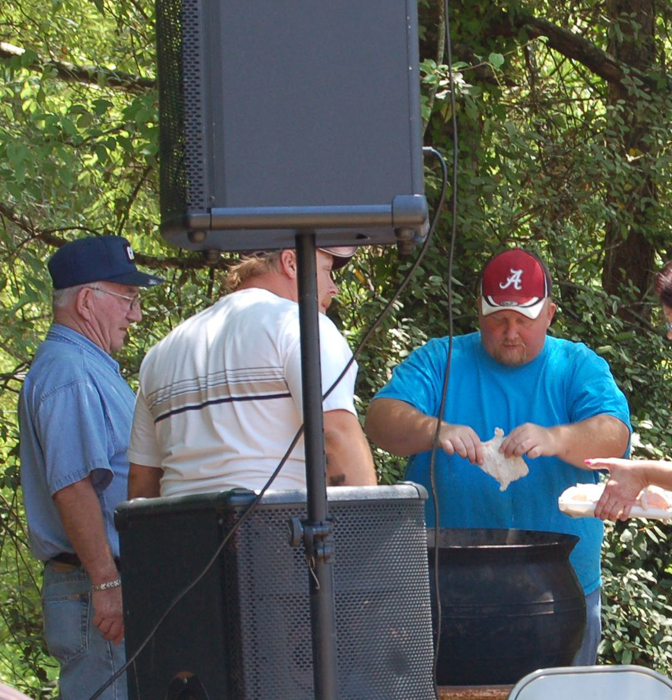 My father’s family has been in Alabama since the early 1800s, for the most part in the same county. They moved around a lot, so there’s no family homestead to go back and see. When I go to Alabama to visit family, I’ve never been able to drive around with my notes to different roads and towns to check out where my family used to live. 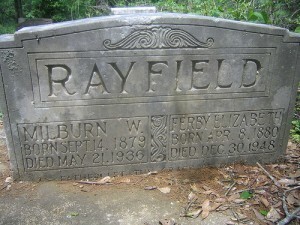 One exception was when I drove to an old cemetery in Sylacauga with my dad, his brother and his uncle. It was off of a main road and up a small windy hill. On the way up, we drove near where my grandmother had lived when she was young–a much more rural or country-looking place than I had seen before. The cemetery was a small hanging-moss-covered cemetery. We had to push branches out of our way as we walked to my great-great grandparent’s grave (to the right). My uncle remembered that my great-great grandfather used to smoke Prince Albert Tobacco from a tin and that he had lost an arm in the cotton mill. I had never heard these stories, but being there prompted them. It was definitely a rare moment for my father’s side of the family. My experience on my mother’s side is nearly the opposite. Right now, my parents live close enough to walk to the cemetery where my great-grandmother is buried. I’ve visited at least once a year for my entire life. The first house my Armenian great-grandparents lived in when they came to Watertown from Syria (via New Hampshire) is still standing and I’ve been by it many times. I’ve walked on the streets they walked on. I know the view they had from their front porch. I didn’t have to conduct research to hear stories about this side of the family–they were all round me. Seeing these pieces of history, always prompted stories, like they did in Alabama. The difference here is that it happened often, so I have more stories and anecdotes to fill in for the 10 years between each census record I transcribe. It’s always worth it to make the trip to the places where your ancestors lived; at least it has been for me.